Volkswagen is heading to London’s High Court today - Tuesday 27 March - to defend itself against thousands of compensation claims in relation to the emissions scandal. The three-day hearing will set a deadline for claims against the German carmaker within England and Wales and determine which law firm will lead the legal push for compensation from thousands of Volkswagen, Audi, Skoda and SEAT owners. The case concerns more than one million cars from the Volkswagen group that were sold with the EA189 diesel engine between 2009 and 2015. The engine was fitted with sophisticated NOx (nitrogen oxide) emissions software designed to detect laboratory testing conditions and artificially lower emissions. Volkswagen has paid compensation and bought cars back from owners in North America, but refused to do so for those in Europe arguing that the emissions software does not break any EU laws. As a result it has only offered European car owners a technical fix to remove the software. 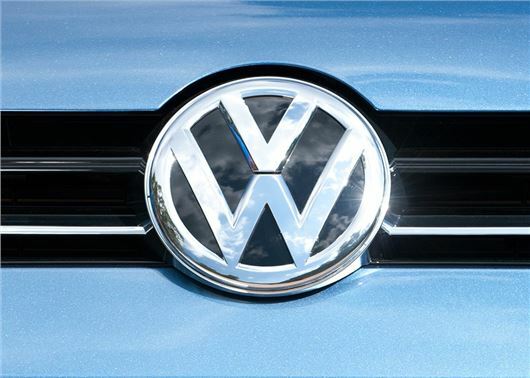 To date, Volkswagen has applied the ‘fix’ to 842,000 vehicles in the UK. It claims that the “overwhelming majority” of its customers are satisfied with the technical update. Speaking to HonestJohn.co.uk, a spokesperson for Volkswagen said: “The hearing was originally scheduled by Claimants for January 2017 and was ultimately adjourned for over a year due to a lack of proper coordination and a serious legal dispute between Your Lawyers and Harcus Sinclair, who were then acting on the matter. This resulted in them being debarred from acting in the litigation and considerable delays. "We have made it clear that we do not anticipate that our UK customers have suffered any loss or financial detriment as a result of the NOx issue"
“We intend to defend these claims robustly and are confident of a successful outcome. It has not been established that the relevant software is an illegal defeat device. We have made it clear that we do not anticipate that our UK customers have suffered any loss or financial detriment as a result of the NOx issue. In particular, we note that an adverse financial impact on the residual value of affected vehicles as a result of the NOx issue has not been identified. “The inaccurate messaging being provided via the media is an attempt to encourage people into signing up to their court case in order to try to make the litigation more economically viable for the financial funders running the case,” the spokesperson concluded. A survey carried out by law firm Slater and Gordon – which represents more than 40,000 disgruntled owners – claims that 40 per cent of those questioned have suffered technical problems with their car since having the technical update, with one in 10 saying that their car had experienced a loss of power. For the past two months, I have been intensively looking for a suitable second hand car to buy. I am posting this comment because I want Volkswagen to know that I have specifically ruled out buying Volkswagen Audi Group (Volkswagen/Skoda/Seat/Audi) cars with diesel engines, Volkswagen Audi Group (Volkswagen/Skoda/Seat/Audi) cars with the EA189 diesel engine and also Volkswagen Audi Group (Volkswagen/Skoda/Seat/Audi) cars with petrol engines. The affected vehicles have had their residual values seriously affected because it isn't just a case of me offering less money for one of the cars - it is much worse than that. I have absolutely no intention of buying one of the affected cars. With so many second hand cars for sale, why would I bother taking a risk on a car that has known problems? The reason I am not going to buy any Volkswagen Audi Group car with a petrol engine is that I have serious concerns about the risk of Volkswagen Audi Group announcing that their petrol engine cars need to be 'fixed' too. How can we trust Volkswagen Audi Group now? The loss of trust is also increased because Volkswagen's 'fix' for the EA189 diesel engine is obviously inadequate. At the minimum, Volkswagen should offer all affected customers, brand new uprated fuel injectors, a brand new uprated EGR valve and additional emissions control equipment systems to eliminate the NOX air pollution. My preferred solution would be for Volkswagen Audi Group to offer all affected customers a discounted new engine (with a new emission control system and a new exhaust system) that meets air pollution emission rules. The management of Volkswagen Audi Group should think about the long term reputation of their business. My Skoda experiences absolutely confirm the above. both the supplying dealer, who made a complete shambles of wiring the towbar on a brand new car, and then left my wife sitting for 2 hours while they pretended to investigate another substantive transmission fault(subsequently fixed by another dealer, which repair took 3 full elapsed months), and lied about the whole process. 2nd dealer after a good start then refused to acknowledge ERF Fault codes and sent me away twice as the end of the warrenty period was looming, only I went back with a printout of the apparently non-existent to Skoda techs, but clearly logged fault codes, my lap top, and a very determined stance, but hey presto, this time the light had stayed on, so they were forced to admit there was a fault. For residual value, I compare the original '61' plate new price of my 1.6TDI Match against the comparable 1.4 TSI, the Diesel was around £1,000 more to buy new and has hovered around £500 lower in trade-in value since the "scandal" broke out as per Parkers Guide. I presume that the diesel's residual value was supposed to be higher than the petrol version, as per the suggested sales blurb, but obviously isn't now. I'm pondering over VW doing another "scrappage", this time for the Mk6 Golf, it's not really worth doing serious engine upgrades for these cars now as the youngest will be nearly 5 years old. Against the myriad coments on this web site, I bought a 2012 VW Golf TDi 1.6 Match this week. I must say the service from Vindis Huntingdon was outstandingly good. The car runs perfectly and yes the database shows that this model has had the emissions fix done. Vindis even fitted a new cambelt and new tyres prior to collection even though the car has only done 32,000 miles. My purchase shows that there was no loss in residual value in this case. So I hope this balances things to some degree. Hope you didn't pay more than £6500 as that's all it's worth. My decision not to buy another VAG product was made soon after I collected my brand new A4 when I experienced Audi’s shambolic admin. First they sent my PCP financial documents to someone else who, fortunately knew where I lived and forwarded them on to me. I complained to Audi and asked them to take Data Protection more seriously but, amazingly, they then sent a letter of apology to yet another wrong address - this time identified by the postman. Then came Dieselgate, the denials and the cheating so, when the warranty ended I decided to sell it but there were no takers except at a fire sale offer from punters who wanted a guarantee. So I bought an Audi Extended Warranty and some months later a long came a buyer with a reasonable offer - swayed by the warranty and reassured that I had not allowed Audi to apply “the fix” which was giving so many owners problems with fuel consumption and engine reliability. But after I applied to transfer the warranty to the new owner Audi replied that they would not transfer it despite the fact that the warranty covered the car - not the owner. Put all these facts together and my decision to walk away from any further purchase of a Volkswagen/Audi vehicle should come as no surprise to anyone at VAG but the most annoying aspect of all this is that although the car beautifully built and a pleasure to drive, it was Audi’s appealingly bad attitude to customer aftercare that lost them my custom. I can relate to your experience in many areas of life if not all. Products and services we have to use, gas, electricity, banks, supermarkets, holiday companies, hotels, the list goes on. Very few providers meet acceptable standards. Waitrose is a notable exception. Having owned 5 VWs and 3 Audis I do have brand loyalty. This is what made me buy another last week amid all the noise over emissions. In America this was not the only case. So. I will be sticking to VW based on their having a 30 year history in my family. They have the technical know how to develop a sustainable solution. Regarding service, Vindis Huntingdon last week gave the best welcome and follow up I have ever had from a dealer. I bought a nearly new Golf Tdi from a main dealer in 2014.I had owned 2 VW models in the past and believed they were a decent company .I was shocked and very disappointed when the scandal broke and decided to look for another car.I eventually settled on a petrol Honda Civic but lost a great deal of money when I traded the Golf in.The Golf was in superb condition inside and out and I had the cambelt and water pump replaced as well as new brake pads.In 2 years I ;lost £5000 and spent over £1000 on the car as well.Needless to say I will not consider any VW group car in the future as their stance in Europe is reprehensible having broken the trust I had in the brand.I was interested to see the pictures on the internet recently of the cars bought back by VW in the USA and to read of compensation owners there had received. Lets hope our legal system takes a page from our American cousins when it comes to compensating buyers of these cars. However VW think they can get away with any official compensation scheme as they seem to have the backing of the press who dare not say anything negative in case they loose the advertising revenue. I feel VW should offer compensation and refunds to anybody who has had to replace their egr valve and being told by the dealer that this is due to the customer not servicing the car properly or they have put the 'wrong' fuel in or it is a serviceable part along with compensation for the time and frustration when you know something is not right but just can't prove it! Still very happy with our 2012 VW Golf 1.6 TDi. It is excellent in every way. Our fully serviced 2012 Golf 1.6 TDi is powerful with excellent economy, quiet engine. Perfect in every way. 60-70mpg. Stop chasing compensation folks and get a life. Tiguan 64 plate - had modification - soon needed EGR valve replaced. This was done FOC. How long will this one last- who knows? I have lost all confidence in my vehicle & really don’t know what to do next! I bought a second hand golf 1.6 diesel Jan 2014 for £10,000. Submitted the car for recall in 2017 and since then, the engine or fan kept running really loudly after the engine was turned off. When I mentioned this to the garage they didn’t think it a problem. The car stalled yesterday and I’ve just been told the injectors need replacing and theirs a fault coming up on the EC something (electric control board?) my garage recommend getting all 4 injectors replaced at a cost of £2350 and hopefully the other fault will be resolved. But if not it will cost over £1000. Surely this is a ridulous cost for such a young car. Think its about 5 years old. Will be exploring if i can get compensation but meanwhile crying myself into my keyboard at how I’m going to fund all this. Moving house this weekend without a car now too. Oh Joy.